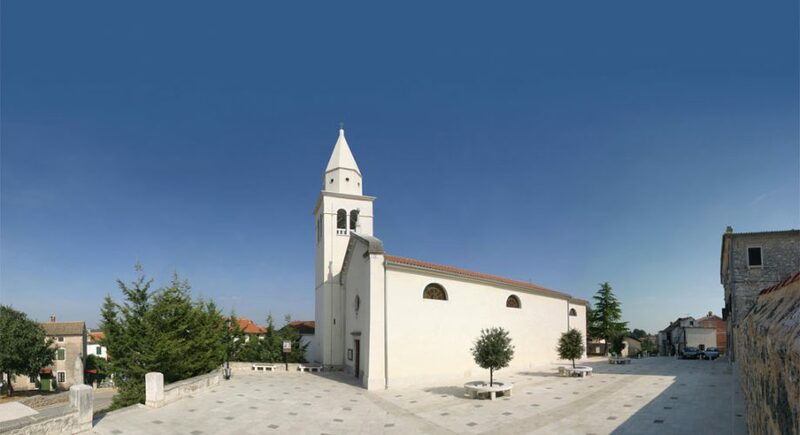 This church is a one- nave building with the sacristy, built in 1621, extended in the 1941 and reconstructed in 1988. The 34 meters high bell tower from the 17th century was refurbished in the year 2000. There is a coat of arms of the noble family on the memorial plate located in the church, where one of the Borisi counts lies. Behind the altar, there is a valuable painting presenting the Holy Mother of God with a Child and Saints. The painting is the most valuable work of art kept in Funtana up to this day. It was restored recently and according to the style, there are two separate themes: the upper image of the “Holy Mother of God with a Child is a Renaissance piece of art, while the lower part of the painting presenting saints, belongs to the Baroque period. The author is unknown. On the left side altar there is a painting of the Virgin with a Child, St. Dominic and St. Catherine, also called Our Virgin of the Holy Beads. This oil painting of an unknown artist is believed to date back to the beginning of the 17th century, and it is painted in the early Venetian baroque style. It has been placed at the altar again after the restoration in 1994. The right side altar keeps a portrait of Blessed Alojzije Stepinac, a cardinal and archbishop from Zagreb (1898-1960), known in the world for his courage while being tortured by the communists. This oil painting is a work by Vladimir Pavlinić. The painting was blessed in 1999. The quire with organs leans over the entrance. It was built in 1878 as a gift from the believer Werner Lenz from Weinheim, Germany. 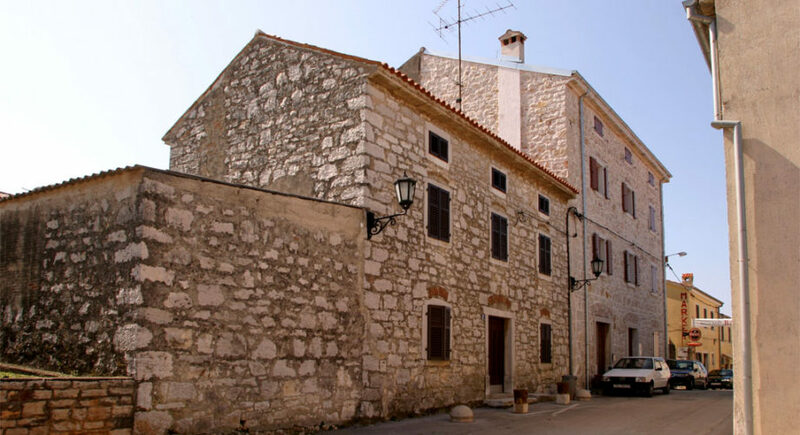 In 1610 the noble Bernardo Borisi from a famous Duklean and Bar family Borisi had it constructed. 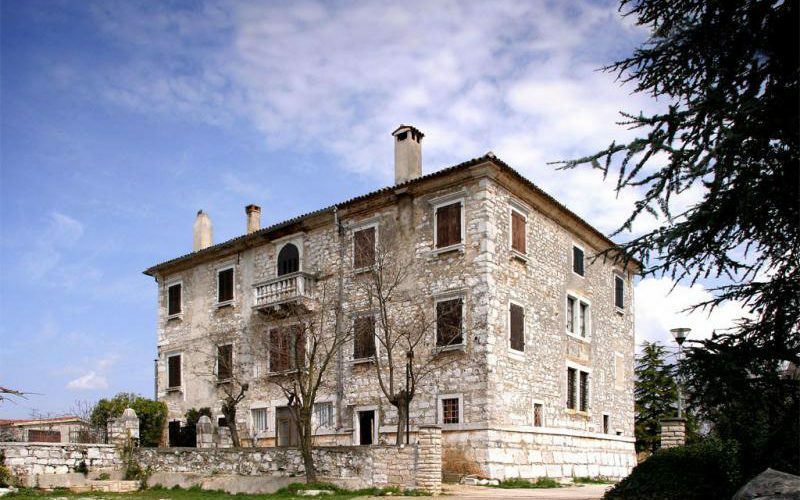 It is a castle-fortification of Renaissance characteristics, rebuilt in baroque when additional windows were opened. 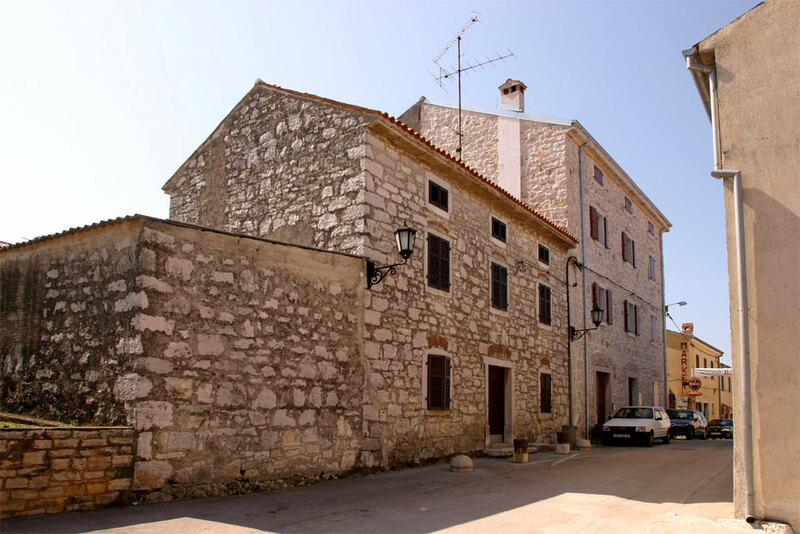 The castle was the first building in Funtana, and then the village grew around it. Some historians like to mention the possibility of an earlier, late medieval architecture on the spot where the castle was built. The interior of the castle is not open to visitors. St. Lucia’s Church is situated right next to the main road, and was built in 1750. Above the facade, there is a church tower with no bell. It is private property, and the only regular service is on St. Lucia’s day. 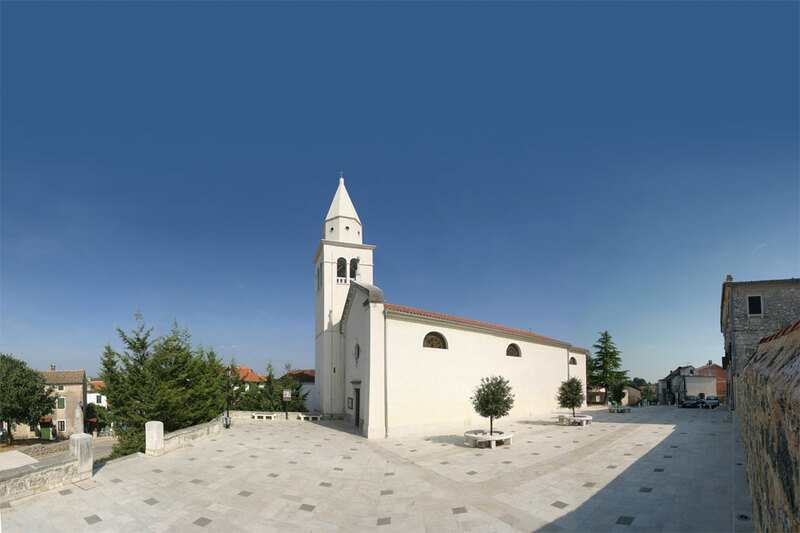 The Church of the Blessed Virgin Mary of Mercy is an old medieval church, located on Perila at the northern entrance to Funtana. The local cemetery was situated next to it until the beginning of the 20th century. Experts believe that the church might have more than a thousand years, as indicated by the traces found in a recent research and restoration. The core is probably Romanesque, maybe older, but during the next centuries it was rebuilt several times. The new facade was also built, and inside the church votive graffiti of Venetian boats were found – boat drawings the sailors scratched in the walls, praying the Virgin for safe navigation or as a token of gratitude for the covenant she fulfilled. The interior includes tombs of the 17th and 18th century. The church was rebuilt in 1998. The Baroque church of Our Lady of Carmel is located in Funtana on today’s cemetery. It was built in the first half of the 17th century and renewed in 1907 during the government of Austrian authorities. In that same year, the old cemetery on Perila was abandoned, and a newly one founded right around the church of Our Lady of Carmel. It is interesting to note that in religious arts St. Mary of Carmel is shown with a rosary in her hands – and from the bottom of the rosary there is no cross hanging, but a small box or a book of prayers. Springs of fresh water that gave the name to the village are right next to the seashore and on the same elevation of the sea surface. Yet they are giving fresh drinking water. 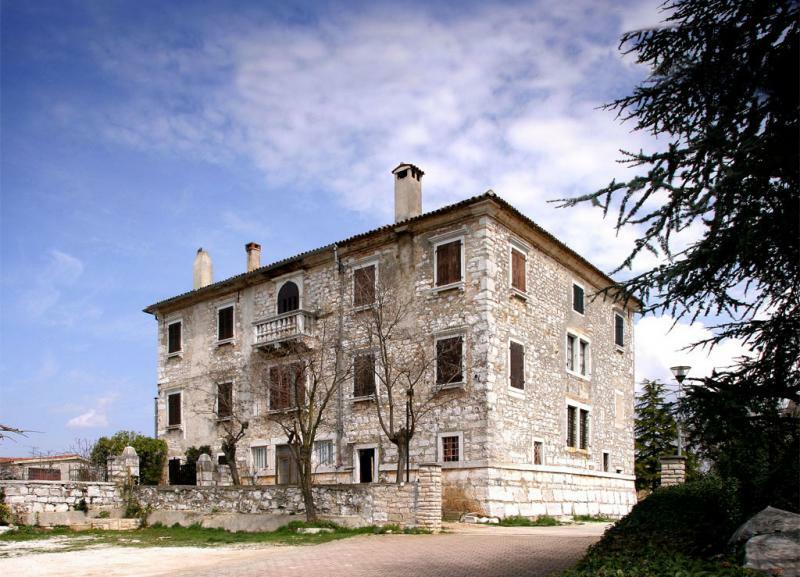 Not too long ago the springs were used by the inhabitants of Poreč region as well as by the population of inner Istria, due to the fact they never run dry. People used to come here for water with their carriages. These springs were used for the water supply system, partially subterranean, and according to the archaeologists still partially visible, constructed for the spacious and luxurious Roman villa on the point Zorna in Zelena Laguna. It was built in the 2nd century and it had, among all other features, two peristyles, and the pompously constructed thermae. The pier in the harbour was used not only by the loggers of the villa but also by the boats that sailed along the western Istrian coast. Next to it there were the pools with fresh water from Funtana, since the boats couldn’t dock in shallow waters near the springs. One of the springs is called Perila (washer) since women used to wash the clothes in there.